On the morning of Wednesday 14th December 2016, two hundred and forty students and ninety-five adults from Hummersea Primary School, and from the wider Loftus community, gathered in Saint Leonard’s Parish Church Loftus to celebrate the Christmas season with a traditional Christmas Carol Service. This year, carols and songs were accompanied by piano, by recorders and by the church organ. 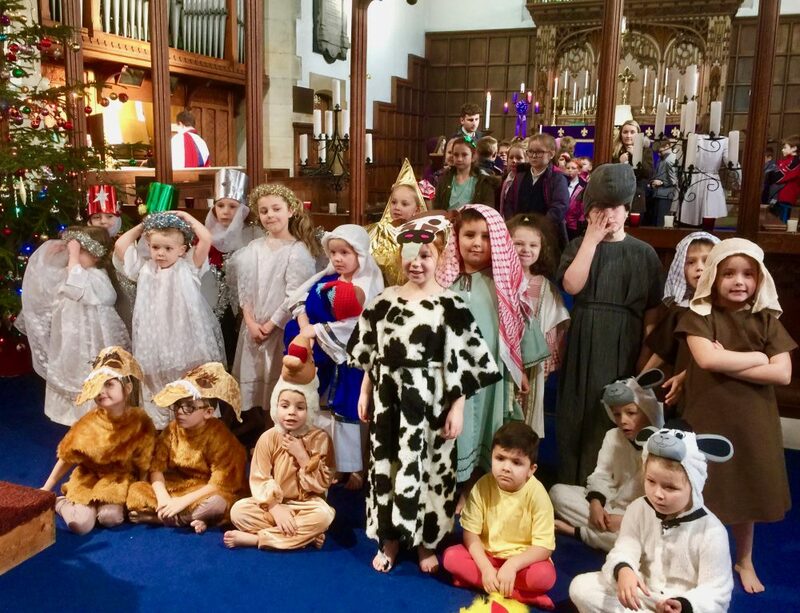 Students from Year Six read the readings, Hummersea School Choir led the singing, while younger members of the school community gathered at the front of Church in a Nativity Tableau. Following the Christmas Carol Service, the school’s kitchen staff provided an amazing School Christmas Dinner for students, for their family and for their friends, back at Hummersea Primary School. Please note that this photograph has been used with the consent of Hummersea Primary School Loftus.